The Journal of International Criminal Justice aims to promote a profound collective reflection on the new problems facing international law. Established by a group of distinguished criminal lawyers and international lawyers, the journal addresses the major problems of justice from the angle of law, jurisprudence, criminology, penal philosophy, and the history of international judicial institutions. Oxford University Press is a leading publisher in international law, including the Max Planck Encyclopedia of Public International Law, latest titles from thought leaders in the field, and a wide range of law journals and online products. We publish original works across key areas of study, from humanitarian to international economic to environmental law, developing outstanding resources to support students, scholars, and practitioners worldwide. For the latest news, commentary, and insights follow the International Law team on Twitter @OUPIntLaw. Film is a powerful tool for teaching international criminal law and increasing public awareness and sensitivity about the underlying crimes. Roberta Seret, President and Founder of the NGO at the United Nations, International Cinema Education, has identified four films relevant to the broader purposes and values of international criminal justice and over the coming weeks she will write a short piece explaining the connections as part of a mini-series. This is the final one, following The Act of Killing, Hannah Arendt, and The Lady. One can say that Dr. Josef Mengele was the first survivor of Auschwitz, for he slipped away undetected in the middle of the night on 17 January 1945, several days before the concentration camp was liberated. Weeks later, he continued his escape despite being detained in two different Prisoner of War detention camps. He made his way to Rome, a sanctuary for Nazi war criminals, where he obtained a new passport from Vatican officials. Continuing to Genoa with the help of the International Red Cross and a Fascist network, he embarked on the North King ship in 1949 to Buenos Aires under the alias of Helmut Gregor. President Juan Peron had 10,000 blank Argentine passports for the highest Nazi bidders. Buenos Aires became their home; there Mengele lived, respected and comfortable, until 1960 when Eichmann was kidnapped by the Mossad just streets away. Afraid he’d be next, Mengele decided it would be safer for him in Paraguay with the support of the pro-Nazi dictator, Alfredo Stroessner. He stayed in Asunción for one year. 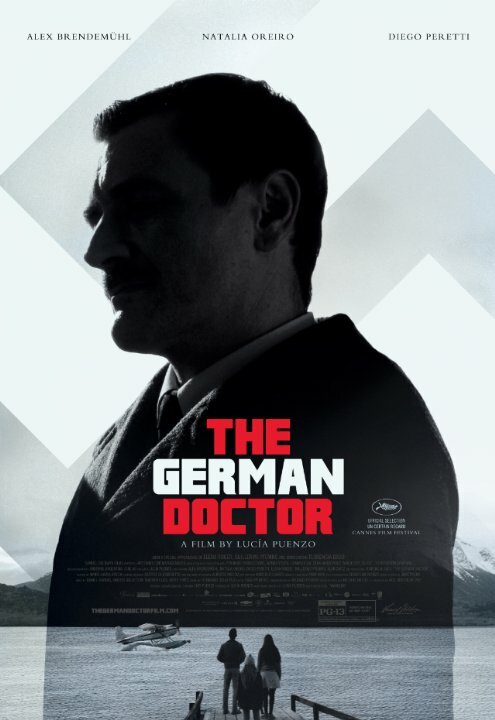 The Argentine film, The German Doctor (2014), takes us in media res to 1960 Patagonia and Bariloche, a beautiful mountain oasis in the Andes that reminds Mengele of “home.” This fictional addition to his biography, serves as a six-month stopover before he escapes to Paraguay. Lucia Puenzo, Argentine filmmaker, has adapted her own novel, Wakolda, for the screen. She adroitly mixes fiction with history and truth with imagination in a tight, tense-filled interpretation that keeps us mesmerized. Yet, as we watch the scenes unfold, we wonder which ones are based on fact and how far should poetic justice substitute for historical accuracy. The director takes advantage of our “collective conscience” of morality and memory regarding the identity of Dr. Mengele. Despite not once hearing his name, we know who he is, although the characters do not. The director uses our associating him with evil to enhance tension and catapult plot – a clever device that works well. What is biographically accurate in the film is that Mengele continues his experiments on human beings in order to create the perfect race. The director uses this premise, then extrapolates to fiction and sets the stage with a family that Mengele befriends. The doctor sees an opportunity to experiment with charming Lilith, the under-developed twelve-year-old and injects into her stomach growth hormones that work for cattle. He also gives “vitamins” to the girl’s pregnant mother, Eva, once he realizes she is carrying twins. When the babies are born, he continues his experiments by putting sugar in the formula for the weaker of the two. As the infant cries dying and Mengele studies the reaction, we shudder that the Angel of Death has once again achieved Evil. The experiments on people that Mengele is obsessed with in the film, is a continuation of his sadistic work at Auschwitz with pregnant women, twins, and genetics. His lab experiment on a mother who had just given birth was notorious. He taped her lactating breasts while taking notes on how long the infant would cry without receiving her milk. When he left for dinner, the distraught mother desperately found morphine for her dying baby. Mengele was also known to inject dye into the iris of prisoners’ eyes (without anesthesia) to see if he could change the brown to an Aryan blue. He documented his results by pinning each eyeball to a wooden board. And there were more experiments on thousands of human beings. Josef Mengele, from 1943-45, appeared each day at Auschwitz’s train station for Selektion. Wearing white gloves, polished high black boots, and carrying a stick, his evil hand pointed Left and Right to order more than 400,000 souls to leave this world through chimneys as ashes. His crimes against humanity can never be forgotten. After living more than 30 years undetected in South America, Mengele died in 1979 of a heart attack while swimming in the warm waters near São Paulo. This peaceful death for such a monster reinforces his ultimate crime. Film director, Lucia Puenzo, would have been well-inspired to have finished The German Doctor with this horrific and true scene. Roberta Seret is the President and Founder of International Cinema Education, an NGO based at the United Nations. Roberta is the Director of Professional English at the United Nations with the United Nations Hospitality Committee where she teaches English language, literature and business to diplomats. In the Journal of International Criminal Justice, Roberta has written a longer ‘roadmap’ to Margarethe von Trotta's film on Hannah Arendt. To learn more about this new subsection for reviewers or literature, film, art projects or installations, read her extension at the end of this editorial.